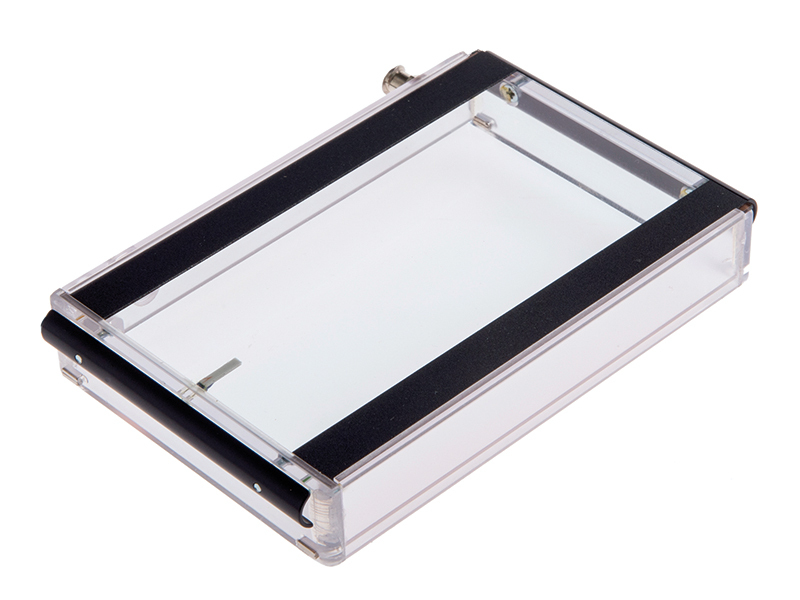 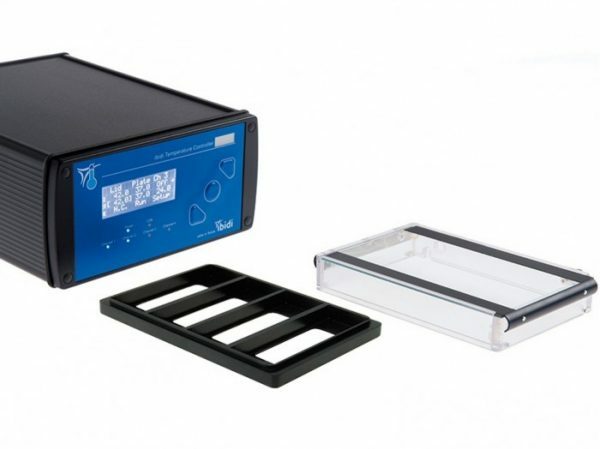 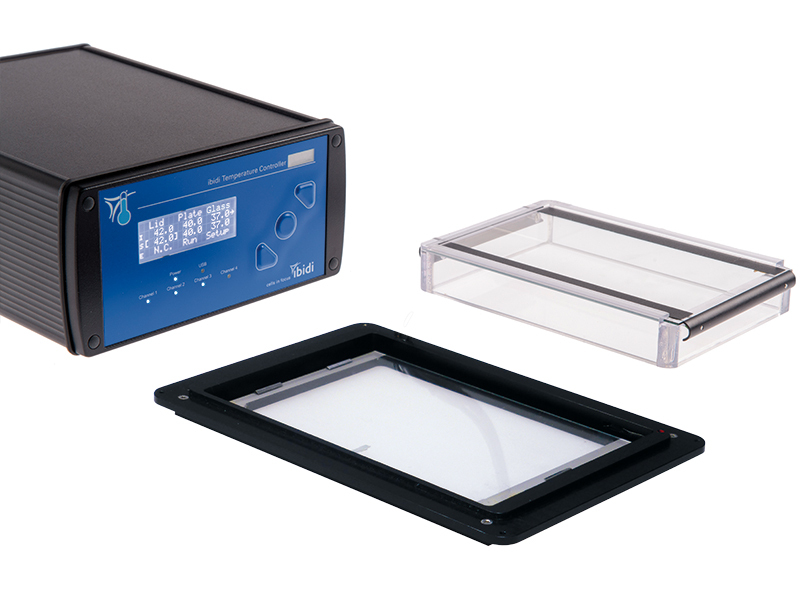 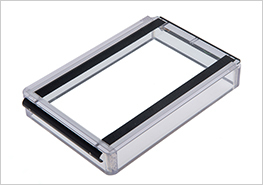 The independently controlled, heated glass lid of the ibidi Heating & Incubation System solves the problem of condensation in live cell imaging. 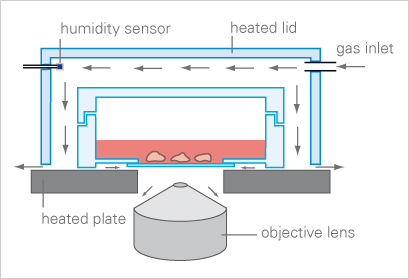 By heating the lid to a temperature higher than the plate, a vertical temperature gradient is created. 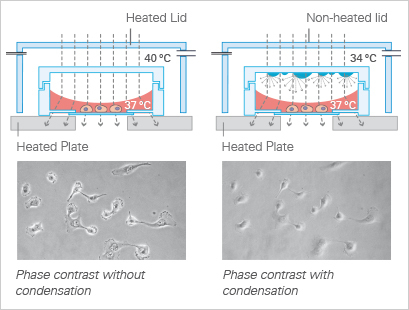 This gradient and an active humidity control prevent the formation of condensation on the lid of the Petri dish. 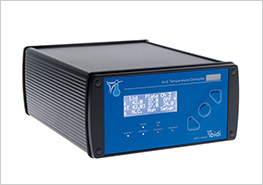 The temperature at the cells’ site is maintained at a constant 37 °C. 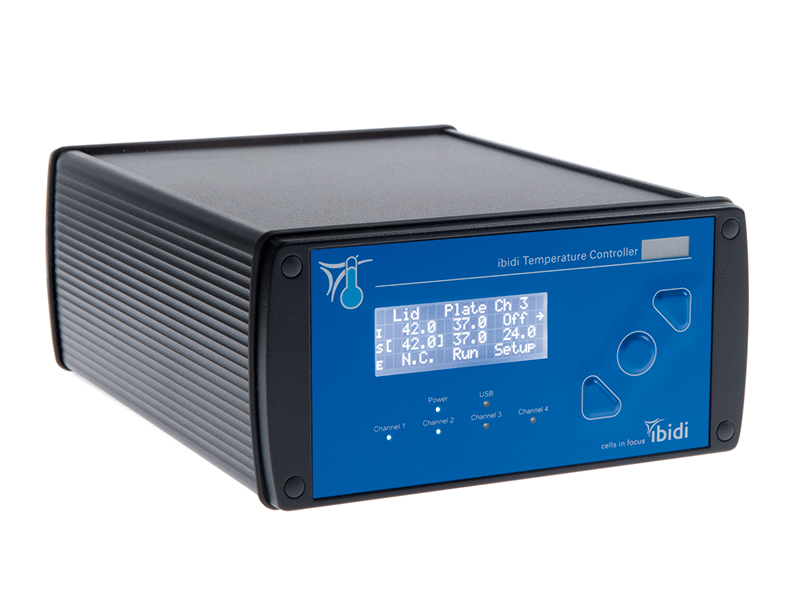 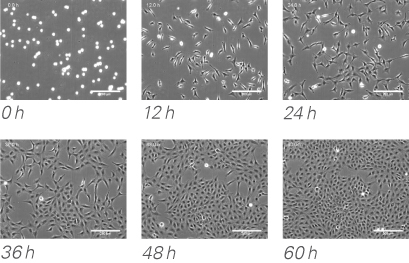 The ibidi Heating & Incubation System can be adapted for live cell imaging under flow conditions. 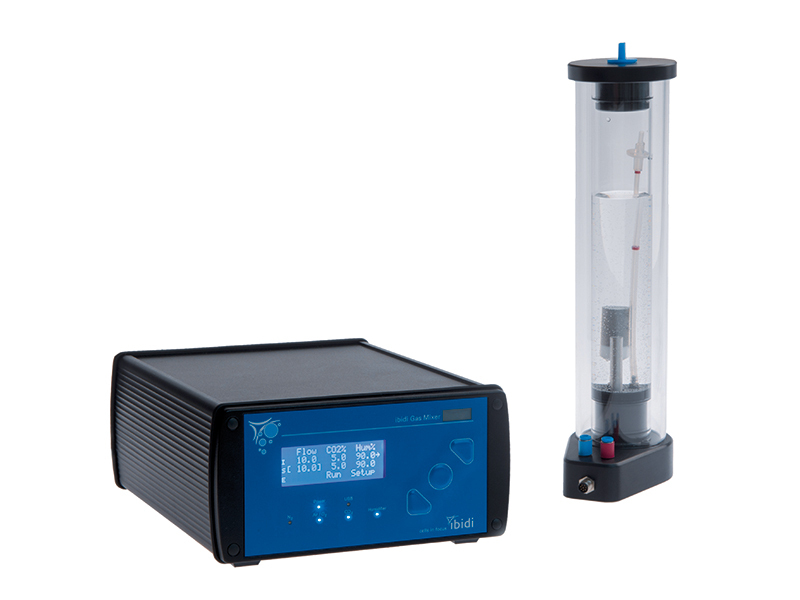 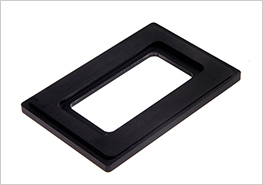 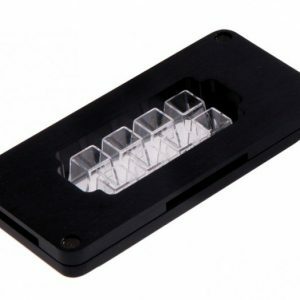 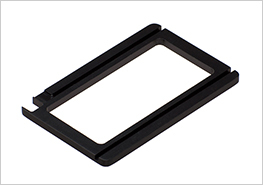 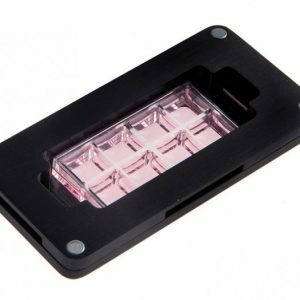 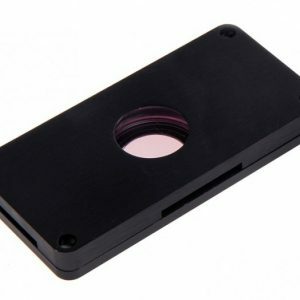 Connect the ibidi Pump System with the ibidi Heating System, Universal Fit, by using the Heating Insert Adapter for perfusion assays. 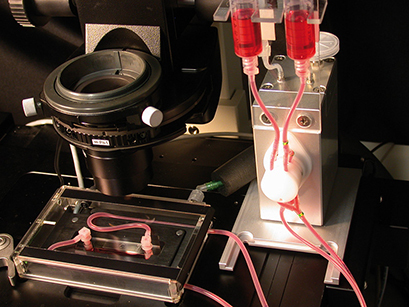 This creates the perfect environment for long-term cell studies (several days) under flow conditions. 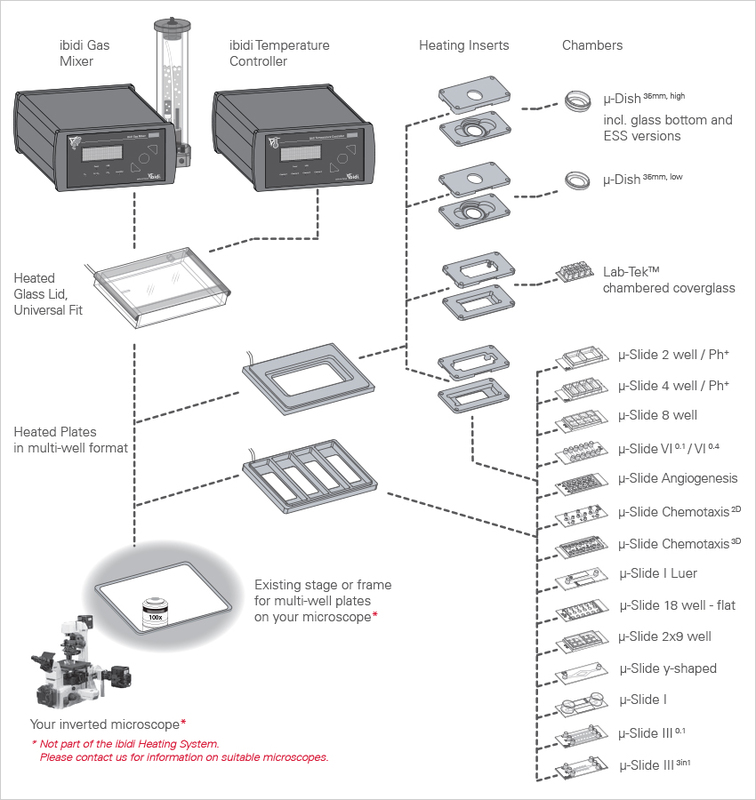 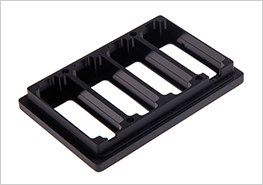 ibidi has developed a Heating System for the use with K-Frame Stages or the Nikon Ti-S-E and Ti-S-ER Motorized Stage which hold multi-well plates. 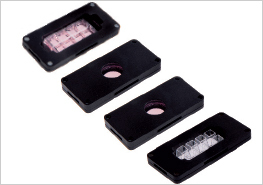 Thus, this system permits the user to control the temperature of samples held in multi-well plates.